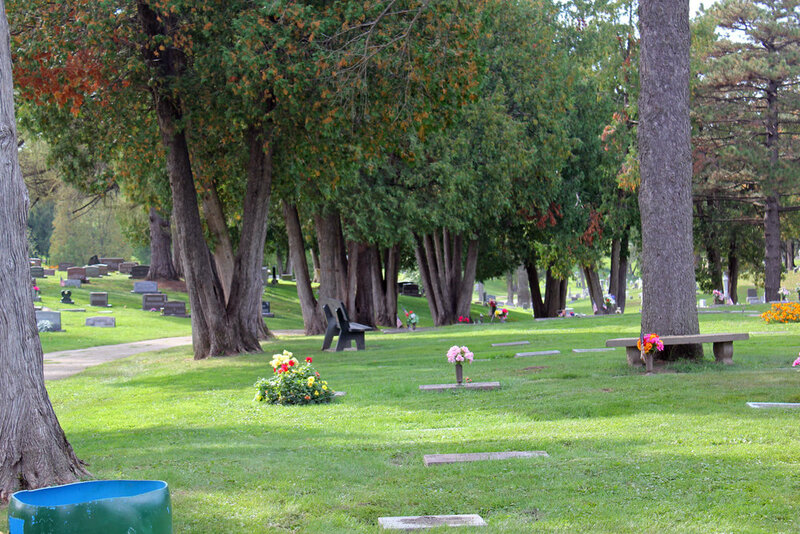 Linwood Cemetary was opened in 1870. 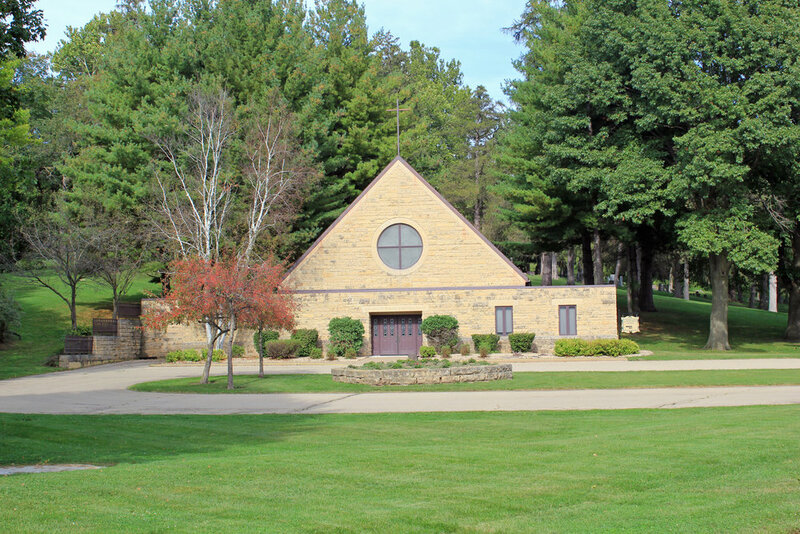 It features tombs and gravestones ranging from simple to grand, beautiful mature groves of trees, and a view overlooking the Mississippi. 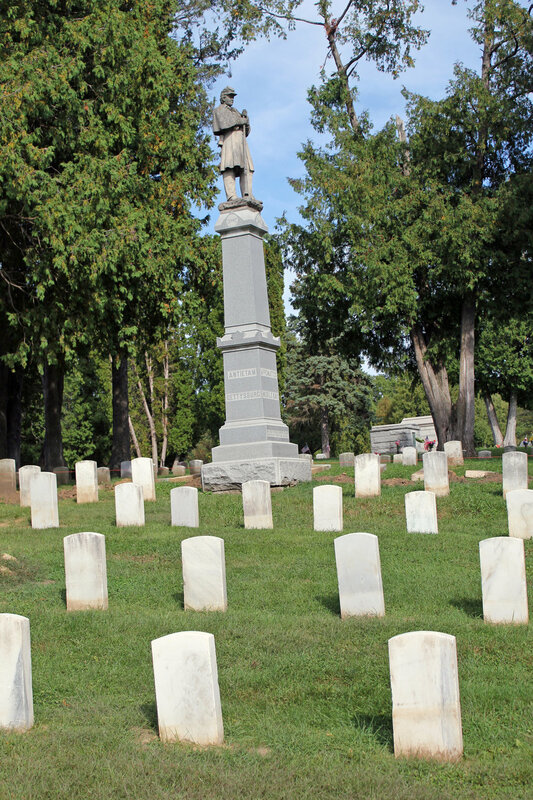 A unique feature is the CIVIL WAR Soldiers' Monument, built in 1884. The monument, topped with the statue of a tired, thoughtful union infantryman, carries the names of the battles in which veterans fought: Antietam, Gettysburg, Atlanta, Vicksburg, Appomattox, and Mobile Bay, Shiloh and Wilson’s Creek. Below that is the famous phrase from Theodore O’Hara’s poem: “…on fame’s eternal camping ground their silent tents are spread.” Surrounding it are graves of those who fought in wars including: WORLD WAR I, WORLD WAR II, Civil War, SPANISH-AMERICAN WAR, KOREAN WAR, VIETNAM WAR, and one from the BLACK HAWK WAR. Setup Space: Lots of room for many artists to spread out. Restrooms: Office is open weekdays 8-3.